A collection of ideas to consider as you work to fuel your students’ curiosity. There’s an old saying that the things that change your life are the books you read, the places you go, and the people you meet. But I’d like to add a fourth: the challenges you face (and how you face them) will always change your life. If we want our students to respond to challenges with creativity and inventiveness, we must create the conditions in which innovation is not only possible but encouraged. You don’t help students learn to invent by giving worksheets or cookie-cutter assignments. In fact, these one-size-fits-all approaches may actually take up the time that could be used for such creativity. According to the Torrance Test—which measures CQ, or creativity quotient—the United States has been declining in creativity since 1990. There has to be a reason. Perhaps it is because we focus on students’ weaknesses instead of their strengths. In many schools, we’ll put a math genius who struggles with grammar into extra English classes. Should we not give this math genius access to college-level advanced math work, and figure out the basic English requirements he or she needs for a basic understanding of grammar? 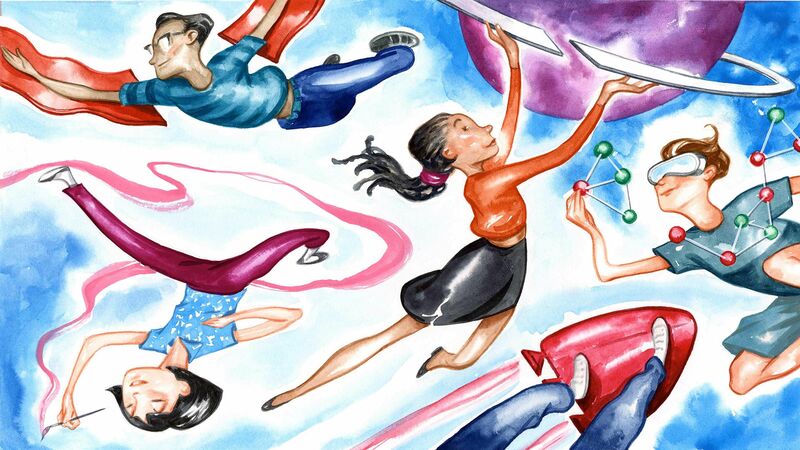 Why do we think that all students should be good at everything? We can either be average at everything or exceptional at something. With this in mind, here are some things we need to do to encourage student inventors as we nurture student passions, interests, and strengths. Yes, it’s nice to have makerspaces with “gadgets and gizmos and whatsits galore” (in the words of Ariel from A Little Mermaid) with products like Hummingbird sets and 3D printers and other cool tools that let kids create. But don’t think you have to have expensive things. Think about how you might be able to repurpose space or supplies within your own building. Or who you know in your community. Sometimes just a phone call to someone in your community can transform opportunities for your students. Students need a reason to create. You can’t just say “We’re going to have genius hour!” and then throw them in a room without ideas or suggestions. This is why challenges are so fantastic. 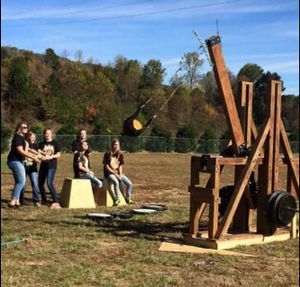 I love the story of physics teacher Ben Owens, who has his students build full-size trebuchets to throw pumpkins for the pumpkin chunkin’ contest every autumn. His students are from a poorer area—they’re “not supposed to be great at physics”—but he gets them all excited about it, especially the girls. In the final analysis, the opportunity to build and the challenge of the contest have really spurred them on. As another example, Innovation Week events are another opportunity for teachers to encourage whole schools to invent and create. In our resource-constrained world, it can be a challenge to make time for creativity. But students need time to create. They need time to tinker. This is hard, because we want to see results, but we won’t get them if we don’t make time for the creative process. Sometimes just showing students the site Make: or other sites can spur curiosity. But the truth is, some students have been consumers for so long that they really don’t know what it’s like to be a creator or inventor. They have to take small steps of creativity before they can take larger steps of true invention. Don’t think you have to bring in everybody in town who has any technical aptitude to get students inventing. With the internet, we have the capability for students to have mentors all over the world. 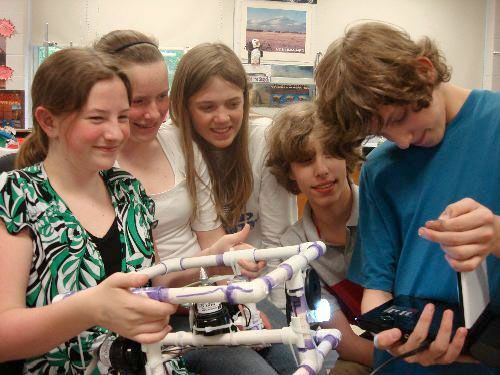 Whether it’s kids connecting with scientists on the space station or scientists in the Arctic, there are ways for kids to connect like never before. They can follow, in real time, the pathways of geniuses and see how things were done. In fact, every student should be encouraged to find mentors in their pursuit of interest. They should be encouraged to identify those people who are exceptional at what they do and learn from them online, and face-to-face if possible. As students create, they need opportunities to share their work with others, talk about their successes and challenges, and hear feedback. Many great creators were part of groups of like-minded people. The prolific and visionary recording artist Brian Eno described the fertile community of like-minded creators as a “scenius”—“Genius is individual, scenius is communal,” he said. Silicon Valley is an example of a scenius that started as a small group of individuals and is now a global epicenter for innovation. A scenius can also generate literature, as when Lord Byron challenged a group of people at the Villa Diodati to write the world’s greatest horror story. Mary Shelley wrote Frankenstein and John Polidori wrote The Vampyre in response to that challenge. There are many more examples of how genius has been nurtured by a rich community of creation. Certainly, “iron sharpens iron,” and when students really work together, they learn and do more than they could do alone. When you foster an atmosphere of creativity, things happen that you can’t imagine. For example, during the first week of school, I have students create anything they wish out of any of our maker materials. Often the greatest inventions happen when one student shows another something and the students level it up. Scenius works, so help students share and compare. Sometimes we think that all inventions have to be technology related, but they don’t. What about the child who wants to create an amazing poem? Or the one who creates a spectacular song and wants to perform it? You may have other students who want to act or create a video. Making and creating come in all types and forms, and we need to encourage them all, not just the kinds that are seen as popular. This is why the A has been added to STEM to make STEAM: science, technology, engineering, arts, and math. We can include all these things because certainly they all promote creativity. Motivational speaker John Maxwell says it’s not whether you make a mistake, but whether you keep making the same mistake that determines if you’re successful. Some people really want to encourage failure, and I don’t necessarily agree with that. If you fail and fail and fail and never figure out why you fail—then, in my opinion, you really have failed. However, if you fail and find out what doesn’t work, and then learn and try different approaches, you’re more like Thomas Edison, who found 10,000 ways the lightbulb doesn’t work. He didn’t keep trying the same thing over and over again—he tried something different each time. And there’s a profound difference. I don’t think we should ever let kids settle and be happy with failure. They should want to succeed and want to improve. So we have to be very careful how we handle failure, to encourage kids to learn from it. We should never become complacent and let kids think that failing is all they can do. Over the last 11 years, I’ve worked with 30 different major global collaborative projects in my classrooms. Without exception, as every single project begins, I have this feeling in the pit of my stomach that I’m about to fail. Not just a little failure like a “stub your toe” failure, but a “downhill skiing and about to face plant in front of a worldwide audience” failure. The kind of failure that not only is embarrassing but hurts. Fear of failure is how starting any new challenge feels to me, but part of my vision statement for myself is that I will enjoy the excitement of challenge. Indeed, I’ve learned to be more afraid of complacency than of failure. As a person who loves boating, I know that stagnant water can be boring and unhealthy—the rapids are where you feel the rush of discovery. As teachers, we have to keep climbing new hills and feel that fear. Furthermore, we have to have our students tackle such big challenges that they feel that fear as well. 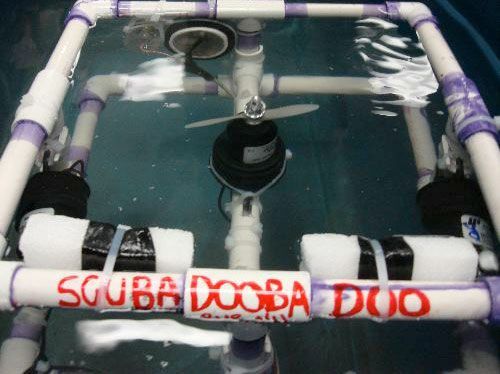 I think of Dr. Robin Ellwood and her eighth graders, who created a submersible that was going to explore Antarctica. She said she didn’t know what she was doing and it was kind of scary, but she wasn’t going to let that stop her. If you’re not afraid of some of the things that your students are trying to do—not related to their health or safety, of course—then you’re not really trying anything new. Fear is a normal part of creating, and we should accept it. We must also foster a yearning to learn. Sometimes I’m afraid our students think that because we have these big textbooks, everything must be in there. In reality, kids should be able to close their eyes and envision all the pages that can be added in the next hundred years, or the whole chapters and sections of books that will be removed based on new discoveries. We’ve got to encourage a hunger for learning and excitement about the next quest. Our lives and well-being depend upon our ability to invent a better future. And if we can’t wake up and make time for inventing and creating, we’ll just keep reliving the past. We need fantastic imaginations unafraid of fear and failure, full of yearning to find new things. As I tell my student inventors, you never see anyone driving down the interstate in reverse looking through the rearview mirror, because that’s not how we’re intended to live life. Certainly, history and discovery are there behind us, but if we don’t learn to invent, create, and look forward, we will not move forward.